There are many beloved sports throughout the UK. 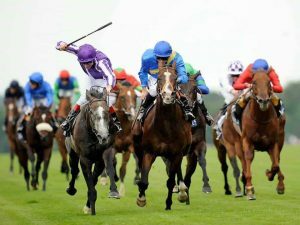 One of the most popular is horse racing. Within this sport there are two main categories. There is the flat racing and then there is the National Hunt Racing. Both are equally exciting and a lot of fun to watch. For those that are keen on keeping up with the latest racing news there are a lot of resources available to help with this. Just as the name implies these races are run on flat grounds. The focus here is put on both the speed and stamina of the horse. For the jockey, attention is placed on their skills. The track length can vary from between 5F to two miles or perhaps more. The surface can also vary. In some races the horses may be running on a grass surface. Then, other tracks are comprised of synthetics. Both of these forms of racing are very popular in the UK. They are thoroughly enjoyed by both the spectators and the participants.